Social Commentary from a Little Squirrel: Music to the Lyrics of E.Y. 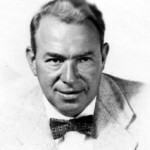 “Yip” Harburg. A June 14, 2003 performance by the Holy Apostles Community Chorus at the Church of the Holy Apostles in New York City’s Chelsea neighborhood, directed by Jack Eppler. Several of Yip’s songs are performed by this unique ensemble. Solos include “Brother, Can You Spare a Dime?” and “Free and Equal Blues.” Choir renditions include “Hooray for What!” and a selection of songs from Finian’s Rainbow, Jamaica and Bloomer Girl. This recording is not a commercial product and is available only from The Yip Harburg Foundation.